BROADWAY SINGS FOR PRIDE is back with an all new charity event for NEW YORK CITY GAY PRIDE 2014! 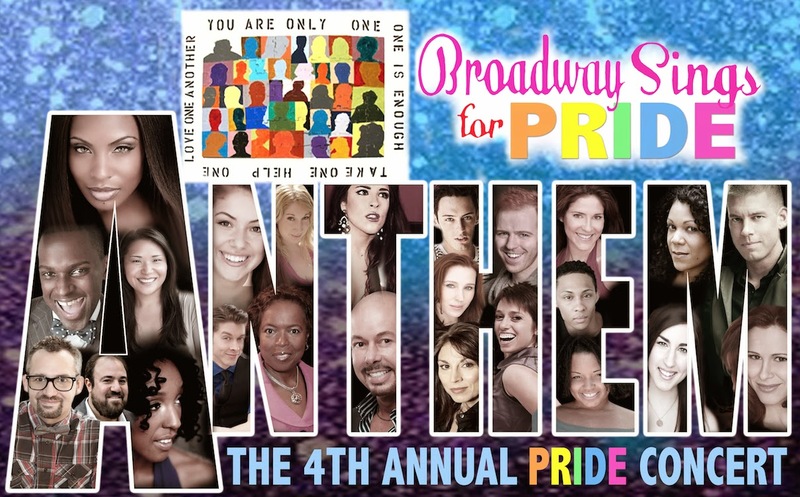 BROADWAY SINGS FOR PRIDE will celebrate NYC Gay Pride by holding with their fourth annual Gay Pride benefit concert with over 15 Broadway shows represented and countless artists! The special one-night benefit entitled "ANTHEM" will feature songs that embody gay perseverance marked by an array of musical performers from the world of Broadway, pop and beyond! Audiences will join the celebration by hearing some of their favorite New York performers take on pop hits, mashups, and Broadway classics. The charity event will be held at Toshi's Living Room & Penthouse, the best live music bar NYC and best rooftop bar NYC, at West 26th Street, between Broadway & 6th Ave on Monday, June 30, 2014 at 8pm. The event will benefit Hetrick-Martin Institute and Broadway Sings for Pride. Broadway Sings will also team up with Broadway Serves (http://www.broadwayserves.org) to promote their inspirational volunteer initiatives. 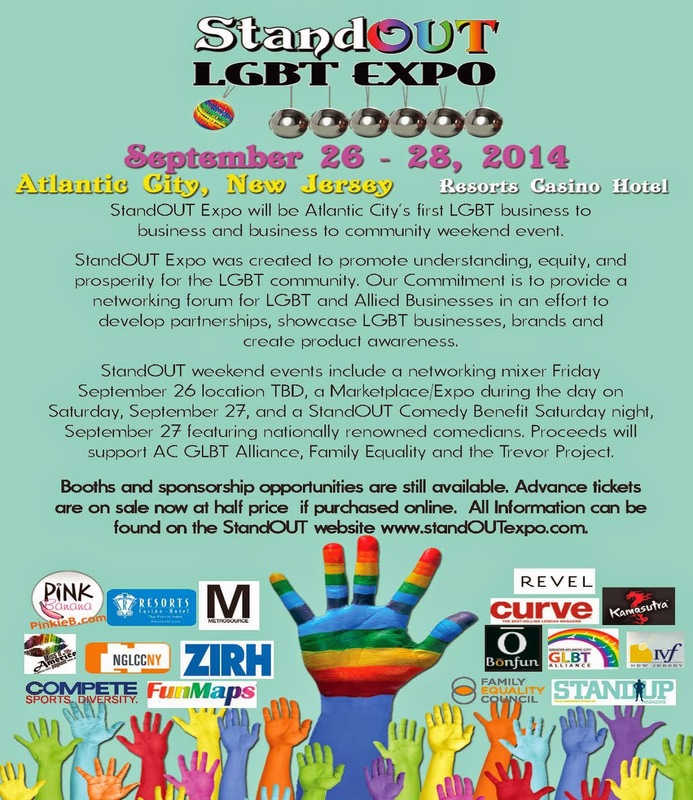 StandOUT Expo will be Atlantic City’s first LGBT business to business and business to community weekend event. It will take place September 26 – 28, 2014 in Atlantic City. Our marketing partners include The ACA, the Atlantic City GLBT Alliance, NGLCCNY, Resorts Casino Hotel, Bon Fun Wines, Fun Maps, Kamasutra Liquor, IVF of New Jersey, Family Equality, StandUP Magazine, Pink Banana Media, Compete Sports, ZIRH Men’s Skin Care, Revel Hotel Casino, Metrosource NY Magazine, Miss D’America and Sand Blast. Our Commitment is to provide a networking forum for LGBT and Allied Businesses in an effort to develop partnerships, showcase LGBT businesses, brands and create product awareness. New York, June 10th 2014. 6 p.m. to 9:30 p.m.